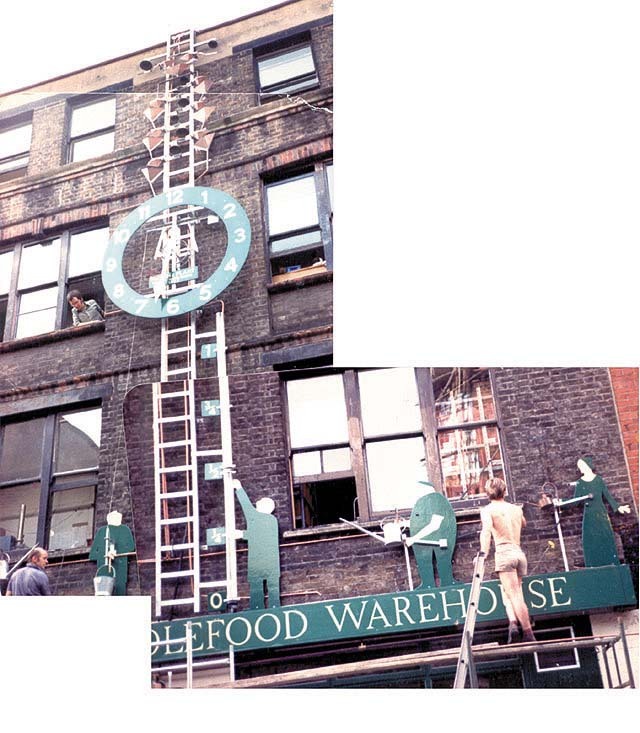 The first commission for a large scale outdoor clock, this was co-designed with Tim Hunkin. Water flows from the roof animating chiming bells and gardeners with watering cans. Flowers grow from the window box/shop signage as it is filled by water. 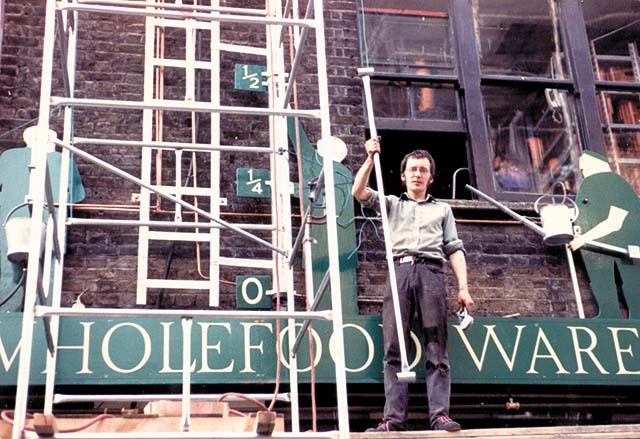 Commissioned by Neals Yard, Covent Garden, in 1981.